The Honor 10 Lite is an affordable mid-range smartphone that’s more affordable than the Honor 8X. 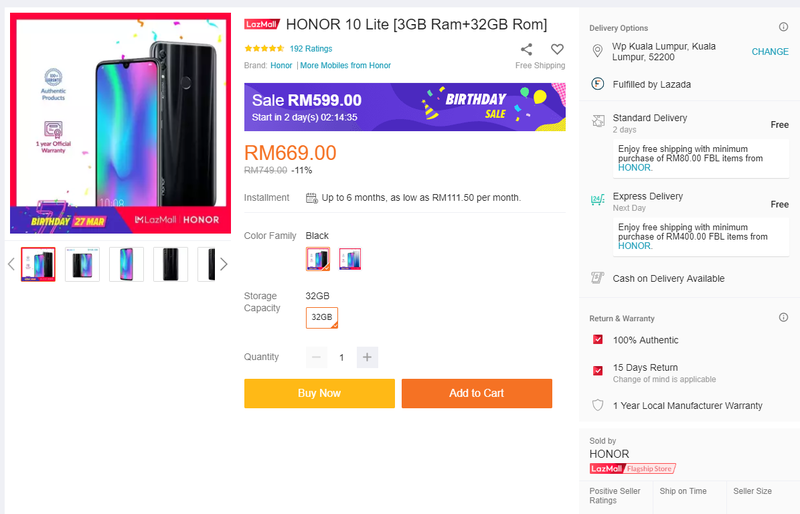 With more cheap and good smartphone options launched in Malaysia lately, Honor Malaysia is giving the Honor 10 Lite a RM150 price cut for one day only. 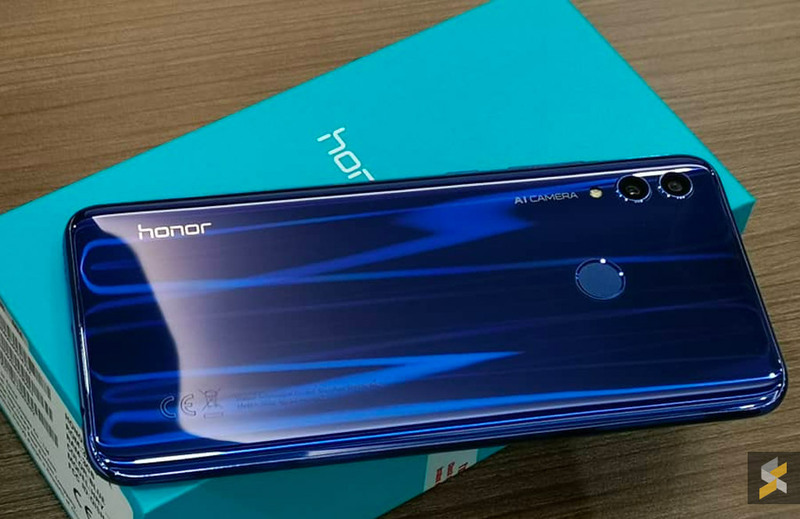 Originally priced at RM749, the Honor 10 Lite with 3GB RAM + 32GB storage can be yours for only RM599 on the 27th March 2019 at 12:00AM. The promo is offered in conjunction with Lazada’s 7th anniversary sale. 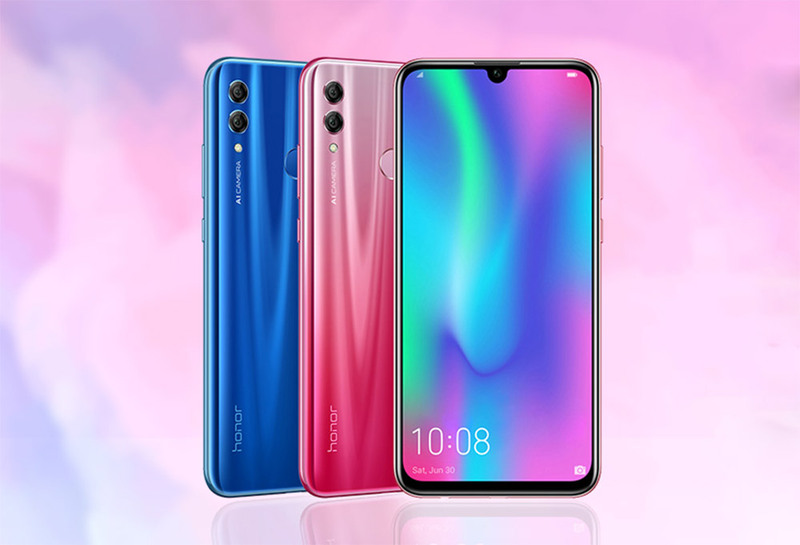 At the moment, the Honor official store on Lazada is offering the device for RM669. To recap on the specs, the Honor 10 Lite features a 6.21″ Full HD+ display and it runs on a Kirin 710 processor with 3GB RAM. In terms of storage, it comes with either 32GB or 64GB capacity options. For taking pictures, the device comes with a 13MP + 2MP dual-camera combo, while the front gets a 24MP selfie shooter. Powering the Honor 10 Lite is a 3,400mAh battery that still charges via micro USB. At RM599, it is priced the same as the Redmi 7 3GB RAM + 32GB storage version. As a comparison, the Redmi 7 features a 6.26″ display with a lower HD+ resolution but it is powered by a Snapdragon 632 processor along with a larger 4,000mAh battery.